Going into Star Wars: The Force Awakens there was a lot of excitement surrounding Captain Phasma. Not only did she have an amazing costume, she was one of the first female villains in the Star Wars films, and she was played by fan favourite Game of Thrones star Gwendoline Christie. Unfortunately, the character's role in the film did not live up to the expectations as she was thoroughly embarrassed by Han, Chewie, and Finn. 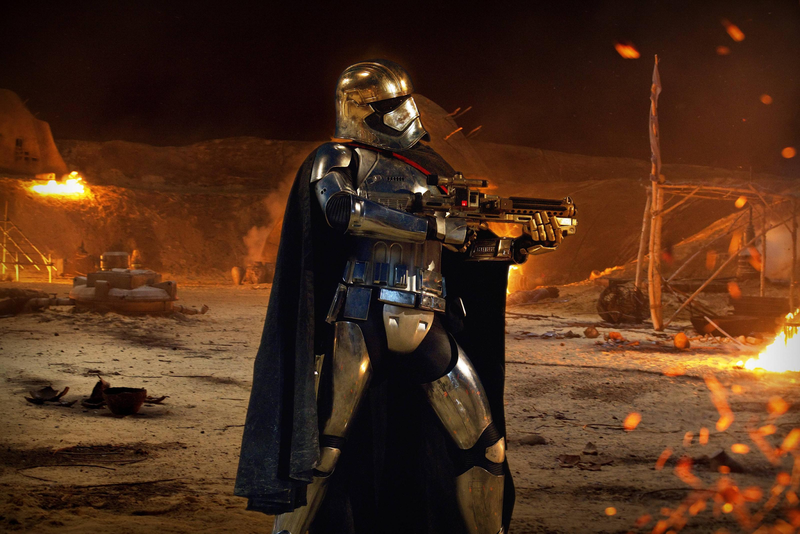 Fortunately, Phasma will have a chance at vengeance in Star Wars: The Last Jedi, which picks up immediately after the events of The Force Awakens and hits theaters this December. And she'll have a new weapon when she reappears this year, according to a report by our friends over at MakingStarWars.net. Now, this is a pretty minor detail but some may still consider it a spoiler. If you don't want to know anything about The Last Jedi, then stop reading now. This is your SPOILER ALERT! "You are going to love Captain Phasma’s spear in The Last Jedi. She looks killer." Spears are something we haven't really seen before in Star Wars (outside of the Ewoks, of course). The Emperor's Royal Guards were armed with some sort of speak, but we've never seen them in action on screen before. Perhaps Phasma's new weapon could be something along those lines. Or it could be unlike anything we've ever seen before (I'm hoping for that one). I think she's going to trip over it and fall head first into another garbage compactor lol. She could use it to prop herself up when she gets tired from doing ABSOLUTELY NOTHING!! !